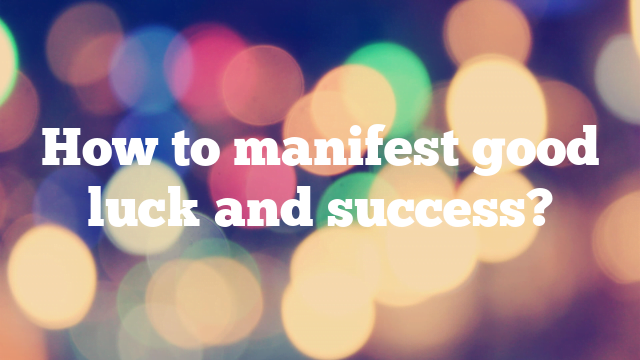 How to manifest good luck and success? topic of consideration. No wonder, since we all want to be happy. Fortunately, there is advice for that. There are many ideas on how to attract luck towards your life. about changing the way you think and act, thanks to which you are able to get the most out of life. way. This will have a positive impact on your life. Symbols are inspiring and uplifting for many people. Properly used, these symbols can invigorate the spirit. idea how easy it is to manipulate another human being. in finding love, or maybe something else? Or maybe it will simply improve your mood? behavior will arise, that over time will lead you among a more lucky path. being more lucky. It may sound a bit unclear, but It really works. I’m a great proof of that. Happy events in your life depend to a large extent on people whom you keep in touch with. than that, you can go a step further and be honest also with yourself. This brings great effects. mistakes that you have made. You just have to remember to avoid them next time. 6. Don’t talk badly about other people. keep your lounge in check. You never know who in the future will turn out to be your greatest ally. happiness may become even less likely. There simply are not enough circumstances to get it. won’t give up in the face of failure. decisions, thanks to which achieving happiness is much easier. a calmer and more positive attitude towards life. religious person if they’ve ever done it. wonders. This helps a person feel – and really be – happier. or an undefined higher power. but take it in their own hands.